Whenever people ask our team about the best hair clippers for home use, we reply that it depends on your needs. Clippers differ in so many aspects – from brands, to models, operation (corded vs cordless) and, of course, purpose. Home haircutting kits will vastly differ from professional tools and that’s natural. If you’re looking for a quick haircut at home, you won’t need an ultra powerful and heavy hair cutting machine. Why would you? The Remington HC4250 on Amazon.com I use is a vital part of my home setup due to how small it is. But then again, I could also easily use an Oster Fast Feed on Amazon.com as something a little bit more pro! Keeping everything you want to see in the best home haircutting kits use in mind, I have prepared this list for you. Take your pick! 21-piece kit including Wahl premium steel guards for better fit and sharper cuts. The Wahl steel combs really make a difference in terms of haircut quality. 13-piece kit with 9 hard plastic combs included. Curved blade follows head shape for easier cuts. Compact design, washable parts and extra accessories. 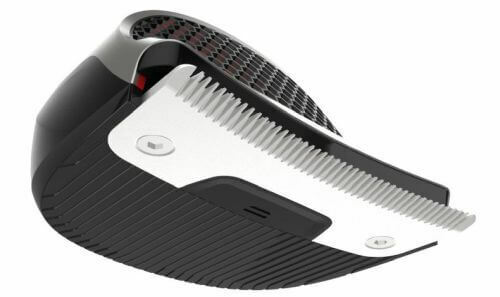 14 built-in settings, sensitive-skin friendly comb and head shave (balder) attachment. Self-sharpening blades, washable parts & balder head. 3 guards (1/4", 3/8" and 1/2"), a blending guide, oil, blade guard, brush. 18-piece kit with extra-large storage pouch, 6 length combs, ear tapers and more. Vacuum feature collects cut hair for less mess. 25-piece kit including hair trimmer, scissors, plastic length combs and others. Very simple to use clipper targeted at easy haircuts. 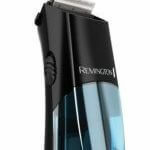 This little Remington clipper also is the top pick in our best cordless hair clippers list. That’s right: not only is the HC4250 very compact (9.8 x 7 x 2.5 inches), but it also ditches the cord. Home use clippers are all about mobility and convenience and this model scores highly on both. It’s also one of the easiest to use clippers on the market. An additional reason we consider this a top best hair clippers for home use and especially for men is the fact that it’s waterproof. Unlike the hassle of usual brushes and hair cleanup, you can just rinse the Remington HC4250 clipper and save some precious time. If you’re looking for a quick haircut at home, this little hair cutter will give one to you. Of course, it’s not all about convenience. You also need power and proper blades for smooth haircuts. HC4250 scores way above average here too. Especially worth noting is its extra-wide curved blade. 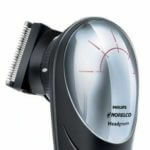 It follows the shape of your head so you get easier, more precise home haircuts. As it’s also wider than usual hair clipper blades, it covers a bigger area. In other words, you cut more with every haircutting stroke. Not that you will need to hurry, though. The Remington HC4250 hair clipper is powered by a quality Lithium-ion battery that will hold for close to 40 minutes of runtime. The frosting of the cake is, you receive 9 length combs with it (1/16″ to 5/8″), a great cleaning brush, hair clipper oil to keep the blades sharp, and a travel pouch. Just be careful when putting on the plastic guards. They don’t connect as strongly as I believe they should. Make sure they are on tightly before you go and start shaving. If one pops off you may be looking at a reverse mohawk! If you find yourself taking a while to cut your hair it may end up feeling a little hot in the hand. Other than these two minor quibbles, it is a decent enough hair clipper for home use. If you want to learn more about it, read our Remington HC4250 review. There’s a reason Philips have added a “Do It Yourself” slogan to this model. The Norelco QC5580/40 gives you a powerful arsenal to perfect your home haircut. Same as the HC4250, this is a waterproof clipper. You can take it apart and just rinse its washable parts, instead of the usual hairier and messier clipper maintenance. The cordless Norelco QC5580/40, however, is more powerful than the HC4250. Its rotating head ends with very sharp stainless steel blades. Even better news – they are self-sharpening blades, which spares you the need to constantly oil and take care of them. I doubt there’s an easier to maintain hair cutter on the market. Most people find their clippers getting dull way earlier than they thought that they should, but most of the time it was because they weren’t keeping the blades in good condition. Since they are self sharpening, it makes it easy to maintain. The only thing I would make sure you do is to wipe away any hair on the blades as hair is acidic. Yes, they are self sharpening, but go easy on them and they will last longer. QC5580/40’s blades sharpness is amplified by the versatile length adjustment. Using the rotator like a dial, you can choose among 14 different lengths. You can even use the Norelco QC5580 clipper as a balding clipper, as it cuts very close. Unlike more demanding models, this Philips hair cutter mixes professional cutting action with ridiculous ease of use. What you surely want to know is how the electric hair clipper performs in terms of battery. Well, you’ll surely be happy to know that the QC5580 comes with a very durable Lithium-ion battery. Even if you prefer longer haircuts, its charge lasts for up to 60 minutes. That’s more than most cordless hair cutters and makes the QC5580/40 one of the best hair clippers for home use. Want to get in-depth information? Read our Norelco QC5580/40 Do it yourself review. For its price tag, the Wahl Chrome pro 25 piece haircutting kit is a crazy bargain. Not only do you get an electric hair clipper, but you receive barber scissors, a hair trimmer, a myriad of combs, clipper oil and many more. It will surely make you feel like you really are your own barber. 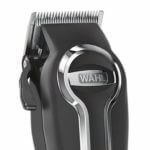 The Wahl Chrome clipper in itself is a good home hair clipper considering its price. It features a comfortable, somewhat light body. The Wahl groomer also doesn’t vibrate much, so you can have a smooth and quick haircut. You wouldn’t want any tool to jump around in your hands and make the process slower, right? Similar to the Norelco QC5580, you get the benefit of self-sharpening steel blades with the Chrome pro. They’re easy to maintain and won’t require regular oiling from you. The Chrome clipper blades also have no problems with cutting through thicker hair and shaping a great home haircut. With the abundance of accessories in this home haircutting kit, you can do a lot. A Wahl hair trimmer, a styling comb, eyebrow and ear trimmer combs…you can groom even more delicate areas for a perfect look. 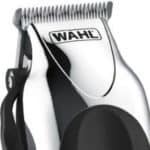 That said, the Chrome Pro 25 piece kit does suffer from some shortcoming as I analyzed in our review on these Wahl chrome clippers. I love recommending Wahl as a brand as it is the closest thing you can get to a professional clipper for a DIY price. They may not be as powerful as the ones they use in a salon or barbershop, but since you don’t need them to be, they fit the bill. Many drugstore clipper brands do not come close to being as reliable as a Wahl that is made for home haircutting. 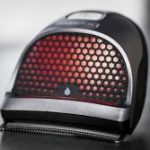 Vacuum hair clippers have become quite trendy because they significantly reduce haircut time and post-haircut cleanups. A suction fan collects your hair inside the clipper while you groom yourself. In other words, no need to sigh and reluctantly take care of the hairy mess spilled over the sink. 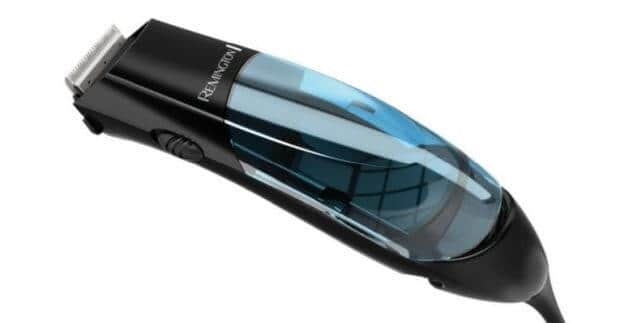 The Remington HKVAC2000A vacuum clipper is a budget option from the brand. Its vacuum chamber is large enough for usual haircuts and will collect 80 to 90% of your trimmed hair. The cutter’s design is polished and ergonomic enough, with the Remington vacuum clipper also being unexpectedly lightweight. While not spectacularly powerful, the clipper motor allows for good haircutting speed and won’t choke on you. The stainless steel blades cut close, but don’t expect this model to serve you as a balding clipper. For home needs, however, this is a very potent clipper. Remington really spoil their buyers in terms of accessories. You will receive a 18-piece kit that includes 6 combs, a styling comb, tapers (right and left), barber scissors, sectioning clips, clipper oil, a pouch, blade guard and a cleaning brush. Considering the convenient vacuum function, you get both the functionality and customization for a hassle-free home haircut. As my colleague Ryan noted in his HKVAC2000A review, if your budget allows you, you can go for the more expensive HC6550. Its vacuum capacity, blade quality and overall power are vastly superior. As many people looking for cheap but best hair clippers for home use, though, I decided to include the HKVAC2000A here. If you plan to cut your family’s hair and not just your own, it is probably worth splurging for the more expensive one as it can handle doing more haircuts. If you are only doing your own cuts once a month or so, then this model will suit you just fine. The king of Wahl’s best home haircutting kits, the Elite Pro clippers perform way better than the Chrome Pro kit. They encounter no issues with thicker hair types and heavier workload and have a solid, albeit a slightly heavy feeling to them. What makes this best hair clippers for home use stand out are the marvelous Wahl metal guards. They completely blow away standard plastic combs with extra sturdiness, tighter fit to the blades, and an overall high-end performance. The Elite Pro kit includes a full set of them. Starting from 1/16″, up until 1″, you’ll get an elegant metal comb treatment – and you even get the rare #1/2 and #1 1/2 guards! A styling shear, 28″ x 40″ professional barber’s cape and a deluxe storage case will only emphasize the feeling of turning your home into a barbershop. Wahl Elite Pro also comes with smooth-cutting, self-sharpening blades. Its motor attributes to the heavier clipper body, but ensures you get more powerful performance compared with usual Wahl cutters for home use. The biggest drawback here is the lack of left and right ear tapers included in the home haircut kit. Check our full Elite Pro clipper review for more details on it. It would be a shame to leave Oster hair clippers out of this list. Usually, Oster is a brand famous for its heavy-duty, strictly professional tools. Yet the Fast Feed is in the middle between a barber clipper and a great home use option. Given its strong pivot motor and cryogenically tested, ultra sharp blades, it’s surprising how quiet and easy to use the Fast Feed is. This Oster clipper also stays very cool for its overall output. While not a cordless model, its cord is very solid and comfortable; it will not mess around your feet that much. 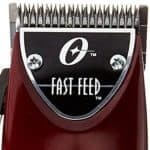 The Fast Feed will net you more precise and faster cuts than most home hair clippers. Similar to the Pro Alloy, it’s also a good fading clippers option. As an adjustable clipper, it will allow you to easily switch hair length for proper blending action. It also cuts through any and all hair types with precision. A bonus here is the fact it’s wet haircuts-ready, aside from your usual dry grooming needs. Included in the kit are three Oster Fast Feed clipper guards (1/4″, 3/8″ and 1/2″), plus a blending comb. You’ll also get Oster clipper oil, a blade guard, and a cleaning brush. Home hair clippers and professional, barber clippers differ a lot. Of course, this also reflects on what buyers look for in them. 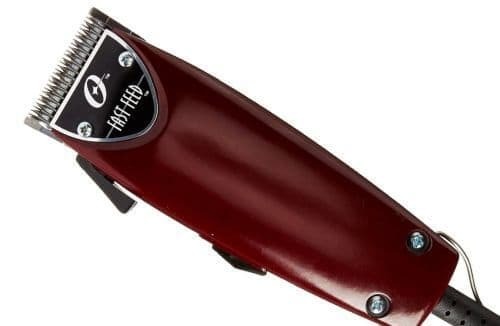 While a heavy casing is quite acceptable for barber hair cutters, it’ll be quite the issue for any person who just wants that quick haircut at home. Consequently, you can’t expect a home haircutting kit to have the same output as a professional hair cutting tool. While in recent years casual models have begun to catch up, there’s still a huge gap between the two groups. The convenience factor includes a lot of things. For example, a very important part would be the size and weight of the clipper. The more compact it is, the better. Convenience also includes the hair clipper maintenance you need to do. Some hair cutters are easier to take care of, as they have washable parts. 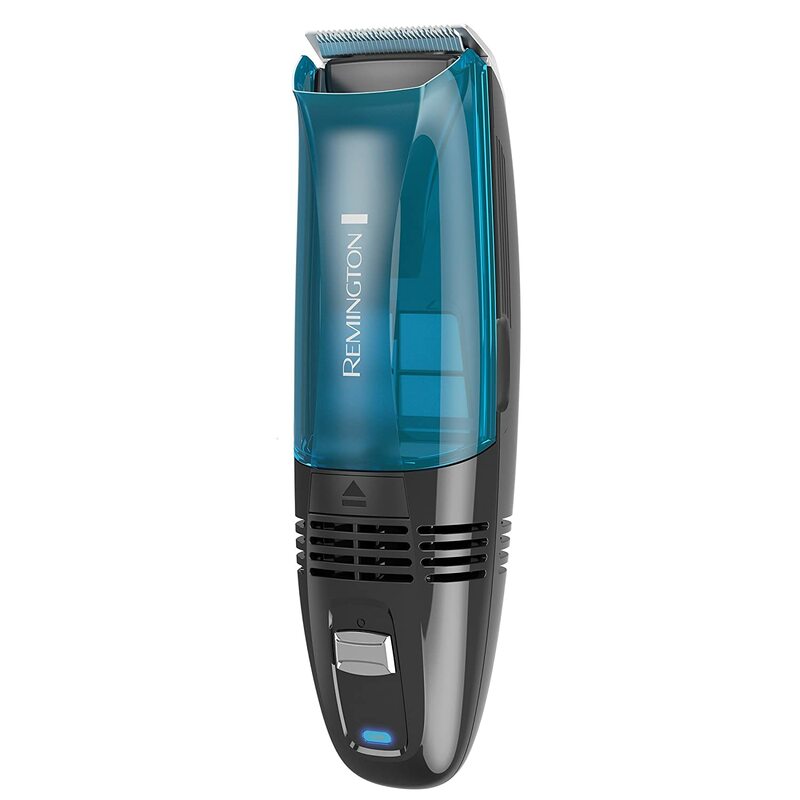 A huge contribution to the convenience factor would be the cordless mode of any clipper. Ditching the cord means you are way more flexible in your home haircuts. However, here you also need to factor in an additional thing: battery life. In our list, the top convenience home hair clippers would be Remington HC4250, Norelco QC5580/40 and the Remington HKVAC2000A. The price is pretty self-explanatory. However, there’s this thing called “best value for price”, which is even more important. Some cheaper hair clippers can be of surprising quality, so don’t be sceptical towards a hair cutter’s price point. In some cases, slightly pricier models can actually serve you better. The reason could be either more accessories, better overall performance (motor, blades, battery), or something else. A good example would be the Remington HC6550 vacuum clipper. Its price tag is a bit above the recommended HKVAC2000A. Yet it’s cordless, its blades are titanium-coated and pack a better punch, and its vacuum compartment is bigger. Quality of haircuts is a complicated factor combining a lot of things. The main ones would be the power of the motor and sharpness of the blades. These two are the so called “operational” factors, the interior of the best hair clippers for home use. 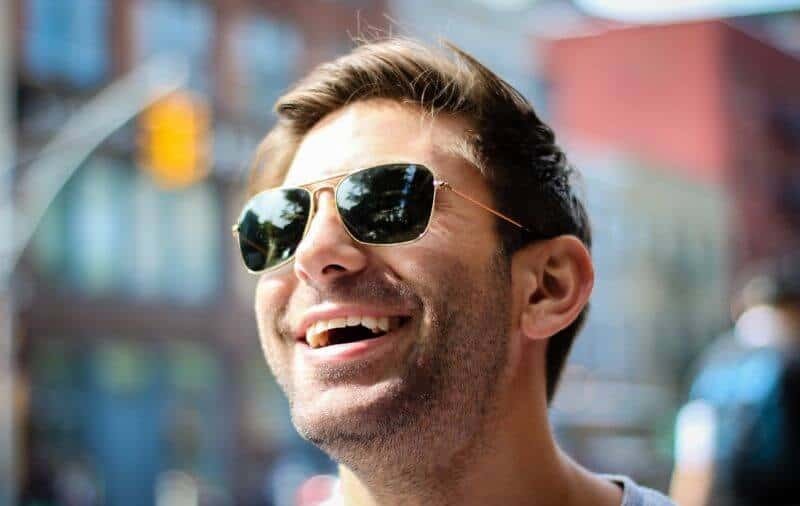 However, the quality of haircuts also deals with the exterior – that is, the weight of the body, how ergonomic it is, how much it vibrates and so on. A definite winner in terms of haircut quality would be the Oster Fast Feed on Amazon.com. It’s powerful, but not heavy. It stays cool, yet its motor and blades will net you better results than other contestants. The Remington HC4250 and the Andis Pro Alloy XTR are good runner-ups. The first scores high in terms of the lightweight body and wider curved blade design, following the contour of your head. The second is heavier, but has a solid grip and is inarguably the most powerful electric and best hair clippers for home use in this list.